Yesterday Governor Hutchinson told reporters that passage of Issue 4 on Tuesday is going to create a $40 million budget shortfall for the state. Hutchinson was asked about the passage of Issue 4 legalizing casinos at Oaklawn Racing & Gaming in Hot Springs, Southland Park Gaming & Racing in West Memphis, and in Pope and Jefferson counties. Hutchinson said he had voted against the amendment. It passed with 54% of the vote. Hutchinson said he didn’t know what the amendment’s long-term effects would be. Overall, casinos in Arkansas will pay some of the lowest taxes of any casinos in America, and the State Legislature will not be able to raise the taxes on casino revenue. Instead of boosting Arkansas’ economy and providing more tax revenue, it seems Issue 4 is going to be a drain on the state from Day One. Little Rock – On Tuesday Arkansas voters passed Issue 4, a state constitutional amendment authorizing four casinos in Arkansas. Council remains committed to opposing casino gambling at every possible turn. Cherokee and Quapaw Indian Tribes along with owners of casinos in Hot Springs and West Memphis. “Some people may think that Arkansans are already going to gamble, so we may as well have them gamble in Arkansas instead of going out of state. That’s terribly misguided. People who live near the border are still going to go out of state, because those casinos are closer. People who live in the middle of the state will gamble a lot more, because the casinos are closer to home. This means that Arkansas will have more gambling addicts. This means more bankruptcies, more domestic violence, and more families in need of food, clothing and shelter.” Cox said. Issue 4 is a proposed state constitutional amendment that will appear on the November 6 General Election ballot. If passed, the amendment would authorize four casinos in Arkansas: One in Garland County; one in Pope County; one in Jefferson County; and one in Crittenden County. Casino licenses in Garland and Crittenden counties would automatically be given to Oaklawn and Southland who operate racetracks in those counties. The other two casino licenses would be awarded to qualified companies following an application process with the state. Casinos would be able to offer virtually any type of gambling, including wagering on sporting events. The amendment may authorize Internet gambling and wagering via smartphones and other electronic devices. The amendment taxes net revenue from casino games, and it divides that tax money among various state and local government bodies. Below is additional information regarding Issue 4. Authorizes Casinos In Four Counties. Issue 4 authorizes casinos in Garland, Crittenden, Pope, and Jefferson counties. Casino licenses in Garland and Crittenden counties would be given to racetrack franchises in those counties automatically. That means that Oaklawn’s horse racing track in Garland County and Southland’s greyhound track in Crittenden County would become casinos upon passage of the amendment. Companies would apply for licenses to operate casinos in Jefferson and Pope counties. Under Issue 4, Arkansas’ racetracks in Hot Springs and West Memphis would be able to offer casino gaming. 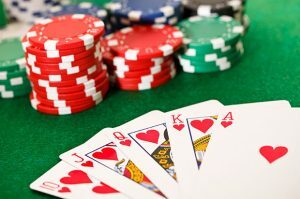 Companies wishing to operate casinos in Jefferson County or Pope County must have proven experience operating casinos elsewhere, and must pay an application fee of up to $250,000 to the state. Practically speaking, these requirements favor wealthy casinos from other states who wish to expand business to Arkansas. Allows Virtually Any Type of Gambling. Sports betting. Casinos would be able to take bets on virtually any sporting event. Slot machines. The amendment allows gambling via “any mechanical, electromechanical, or electronic device or machine.” This includes slot machines. Cards. Casinos would be able to offer poker and other card games. Dice. 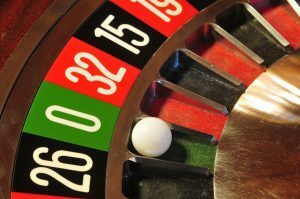 Casinos would be able to offer gambling on dice games. Anything Else. Casinos can offer gambling via virtually any type of device or machine. There is no way to know what this open-ended language might ultimately allow. Does Issue 4 Authorize Internet Gambling and Smartphone Gambling? One unanswered question is whether or not the casino amendment would open the door for gambling online and via smartphones. State and federal law already have allowed Oaklawn to accept wagers from Arkansans online via its website. The amendment’s wording that says casinos can offer gambling via “any…electronic device” arguably could let people gamble through the casino’s website or smartphone app as well. The amendment taxes “net casino gaming receipts,” which is gross revenue from casino games, minus any money paid to patrons in the form of winnings. The amendment taxes each casino’s first $150 million in net casino gaming receipts at a rate of 13%; net casino gaming receipts over $150 million are taxed at a rate of 20%. This is lower than most states. Oklahoma taxes casinos at 35%. Louisiana taxes casinos at 21.5%, and lets local governments impose additional taxes. Missouri taxes casinos at 21%. The only states with casino tax rates lower than Issue 4’s are Mississippi (11.2%), Nevada (6.75%), New Jersey (9.25% – 10.5%), and South Dakota (9%). Under Issue 4, casinos are subject to the same income tax, property tax, sales tax, and other taxes as for-profit businesses, but cities and counties cannot levy any additional taxes on casino revenue. Where Would The Net Casino Gaming Receipts Tax Money Go? 55% to the Arkansas General Revenue Fund. This money would be allocated by lawmakers. 17.5% to the Arkansas Racing Commission. This money would be used for horse racing and greyhound racing. 8% to the county in which the casino is located. This money would be allocated by the quorum court. 19.5% to the city or town in which the casino is located. This money would be allocated by the city council. If the casino is not located in a city or town, then the county would receive this money. No Funding Earmarked For Arkansas’ Roads. Some of the campaign material for Issue 4 has indicated the measure would help pay for highway improvements. However, the amendment does not set aside any funds for Arkansas’ roads. Most of the tax revenue collected from the casinos under Issue 4 is handed over to legislative bodies who would spend the money as they see fit. Nothing in the amendment requires the Arkansas Legislature or local officials to direct money toward improvements to state highways or local roads. In August the Arkansas Highway Commission issued a news release clarifying that Issue 4 does not earmark money for state highways, despite some of the claims being made by supporters of Issue 4. Under Issue 4, casinos may operate 24 hours per day, 365 days per year, and casinos would be permitted to sell or give away alcohol to patrons during all hours the casino operates, including Christmas Day—even if the casino is located in a dry county. The Primary Financial Backers of Issue 4. According to news articles and financial reports, the Quapaw Tribe in Oklahoma has contributed more than $1.4 million to passage of Issue 4. Leaders from the Quapaw Tribe have said they want to open a casino in Pine Bluff (Jefferson County), and have held meetings with elected officials and community leaders in Pine Bluff. The Cherokee Tribe in Oklahoma also has contributed more than a million dollars to Issue 4 and has shown interest in opening a casino near Russellville in Pope County. The campaign for Issue 4 also has received support from manufacturers of gaming devices.